Szymon Warunek (szymi) added a comment to T63315: Blender 2.80 crashes when texture paint is being selected. Szymon Warunek (szymi) created T63315: Blender 2.80 crashes when texture paint is being selected. 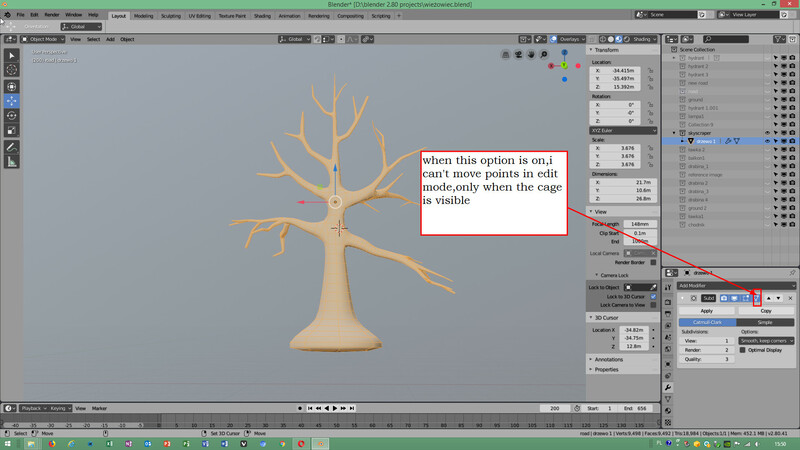 Szymon Warunek (szymi) added a comment to T58890: Sculpt Mode not updating in LookDev or Rendered . Szymon Warunek (szymi) added a comment to T61882: Blender 2.79 - Graphics Card can't render to texture (bake) - cuda error - only CPU is able to render to texture (bake). Szymon Warunek (szymi) renamed T61882: Blender 2.79 - Graphics Card can't render to texture (bake) - cuda error - only CPU is able to render to texture (bake) from Blender 2.79.7 - fails to bake texture,when GPU is chosen to Blender 2.79 - Graphics Card can't render to texture (bake) - cuda error - only CPU is able to render to texture (bake). Szymon Warunek (szymi) created T61882: Blender 2.79 - Graphics Card can't render to texture (bake) - cuda error - only CPU is able to render to texture (bake). 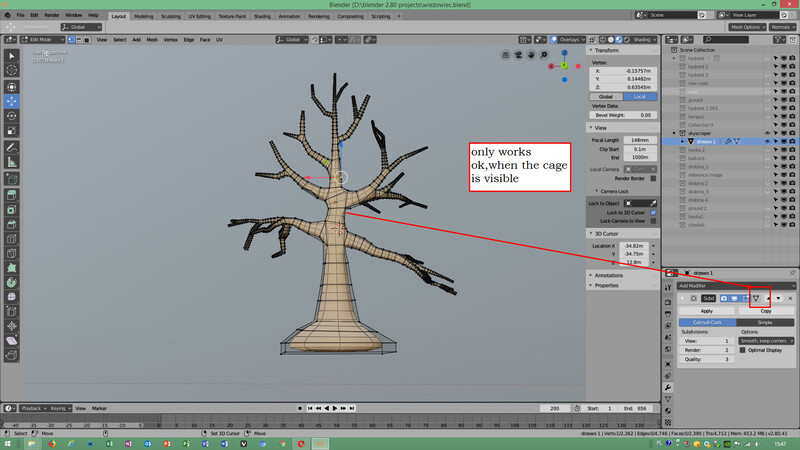 Szymon Warunek (szymi) added a comment to T61592: request to blender developers - to select everything at once in view layer,when i click on collection. Szymon Warunek (szymi) created T61592: request to blender developers - to select everything at once in view layer,when i click on collection. Szymon Warunek (szymi) added a comment to T61118: removing objects from collection,causes them to disappear. ok guys - i got it! - thank you,at least - you explained,thank you for your help!! Szymon Warunek (szymi) created T61118: removing objects from collection,causes them to disappear. Szymon Warunek (szymi) created T60810: Blender 2.80 - Subdivision surface adjust edit cage when is turned on,blender quits. Szymon Warunek (szymi) created T59682: transfor orientation of the gizmo to default error. Szymon Warunek (szymi) added a comment to T59575: bevel does not work on certain edges. how i am supposed to add scale and why is it important,when i create bevel edges? Szymon Warunek (szymi) added a comment to T59504: exported UV Layout is blank. Szymon Warunek (szymi) created T59575: bevel does not work on certain edges. thank you for fixing this issue,i must check the newest build,to make sure this was fixed. Szymon Warunek (szymi) created T59504: exported UV Layout is blank. Szymon Warunek (szymi) added a comment to T59039: objects cannot be selected in OpenGL Select . Szymon Warunek (szymi) created T59039: objects cannot be selected in OpenGL Select . 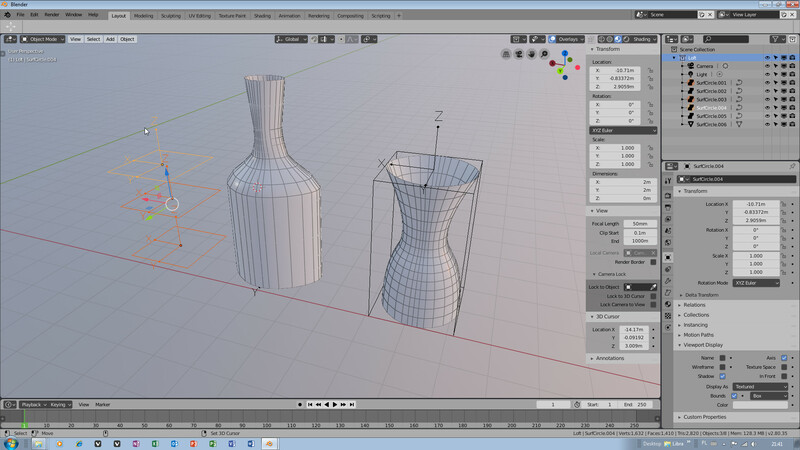 Szymon Warunek (szymi) added projects to T59033: NURBS Circle visible in edit mode only: BF Blender: 2.8, Mesh Modeling. 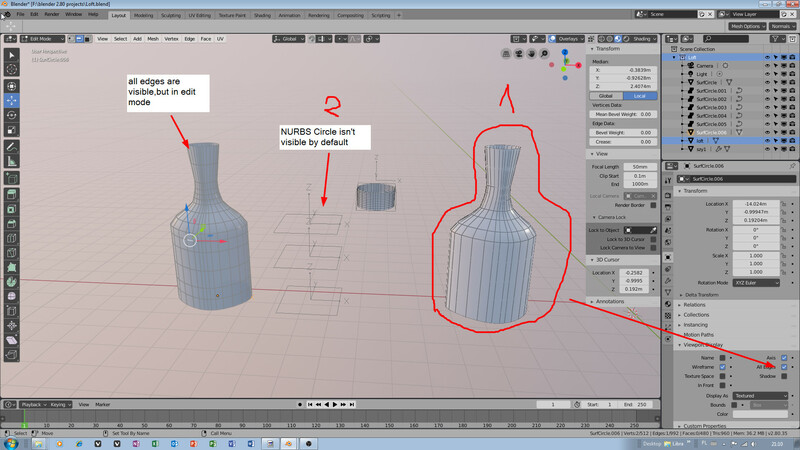 Szymon Warunek (szymi) added a comment to T59033: NURBS Circle visible in edit mode only. i confirmed this task,because,this has not been fixed - NURBS Circle is not still visible in object mode - i need this fixed,because i use it to create loft shape,also proper approximation is not being shown,when i change value of resolution preview of the NURBS Circle. Szymon Warunek (szymi) created T59033: NURBS Circle visible in edit mode only. Szymon Warunek (szymi) created T59032: NURBS Circle visible in edit mode only. Szymon Warunek (szymi) added a comment to T58974: NURBS Circle Object is not visible by default,Polygons do not show all edges in object mode -2 error request - important. Thank you for previous fix for make segment option,i appreciate your hard work! Szymon Warunek (szymi) created T58974: NURBS Circle Object is not visible by default,Polygons do not show all edges in object mode -2 error request - important. Szymon Warunek (szymi) created T58922: Unable to Create Lofted shapes from NURBS Circle. Szymon Warunek (szymi) added a comment to T56906: Mesh from Curve not working on curves beveled by curves. 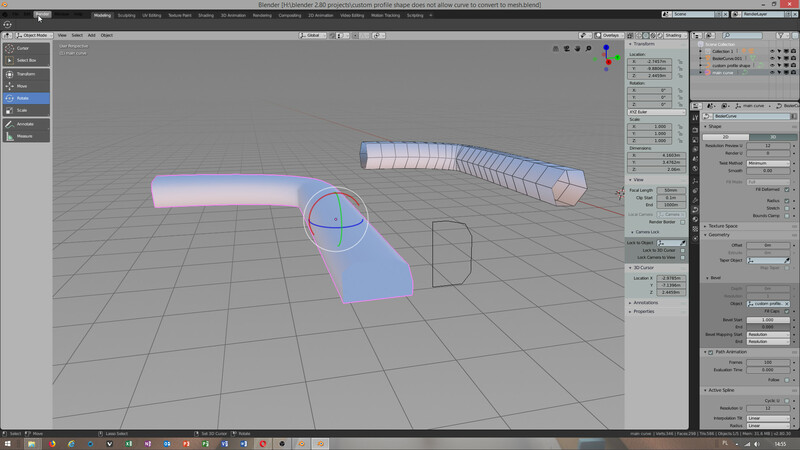 Szymon Warunek (szymi) added a comment to T57676: curve fails to convert,when using custom profile shape for bevel. i wanted to apologize that i was not kind,patient - towards you,i am The Person,who understand how hard your work is,i appreciate it and it is important for all of us,thank you TEAM for hard work! - this was important for me and others,thank you again,you work is valuable for all community. thank you for confirming about this,i was worried that this bug would be ignored,but thank you that you accepted to fix and resolve this issue,i am sorry that i was too eager,i did not want to be rude or something,thank you developers from Blender for your hard work,i just was too worried about this bug,when you fix it,please: let me know,so that i would celebrate,when you fix this issue,thank you dear friends BLENDER DEVELOPERS! Szymon Warunek (szymi) added a comment to T57792: Custom shape profile for bevel curve does not work. 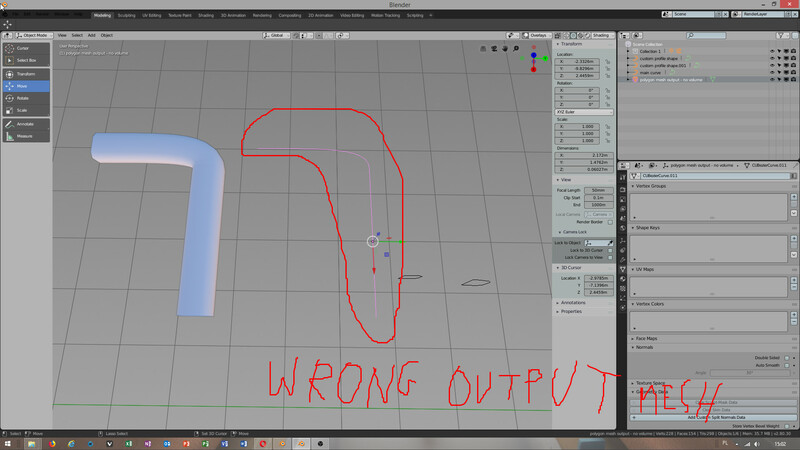 please,fix bevel profile option for curve,so that i could use custom curve shape,for making sweep object,in blender 2.79 - it work without issue. Szymon Warunek (szymi) created T57792: Custom shape profile for bevel curve does not work. Szymon Warunek (szymi) renamed T57676: curve fails to convert,when using custom profile shape for bevel from beveled curve fails to convert to mesh to curve fails to convert,when using custom profile shape for bevel. when can you let me know,when this issue would be fixed,am i suppose to download new nightly build from download sections,as far i know new builds come up every day. Szymon Warunek (szymi) created T57676: curve fails to convert,when using custom profile shape for bevel. Szymon Warunek (szymi) added a comment to T52850: object in edit mode cannot be hidden in layer in outliner. ok thank you for the answer.In 3ds max edited objects can still be hided,but never mind,Blender does in different way. Szymon Warunek (szymi) claimed T52850: object in edit mode cannot be hidden in layer in outliner. Szymon Warunek (szymi) updated the task description for T52850: object in edit mode cannot be hidden in layer in outliner. please check if this is a bug above,in other programs,i can hide objects in layer in edit mode. Szymon Warunek (szymi) created T52850: object in edit mode cannot be hidden in layer in outliner. Szymon Warunek (szymi) added a comment to T52693: Knife tool creates duplicated vertices. please tell other people about this workaround and let other people know about it. thank you very much! 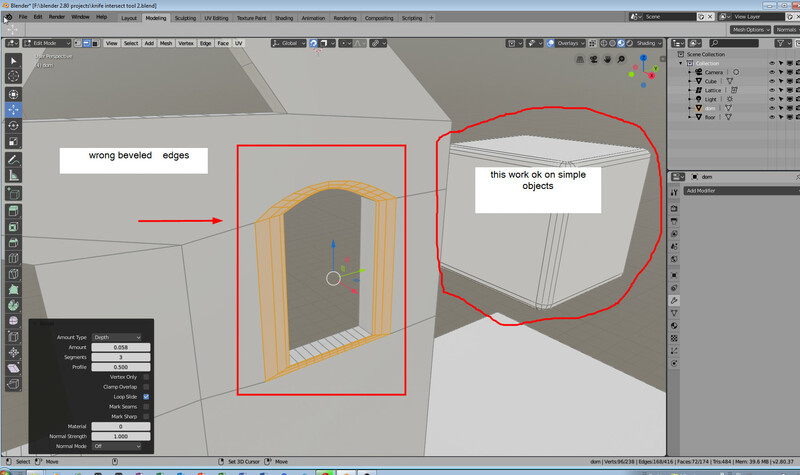 - this setting which is to do with viewport clipping solved my issue with knife tool. please see my video,about this issue,i recorded my work by cam studio,to make it easy for you to see what happens when i cut along polygon edge. Szymon Warunek (szymi) raised the priority of T52693: Knife tool creates duplicated vertices from Needs Information from User to Confirmed, High. Campbell Barton - what can i do in this case? - What did you do that blender was working without any issues,when you used knife tool.I used and it was creating duplicated vertexes. i have problem with knife tool,when i try to cut polygonal object from one edge to vertex or face of polygon.Knife tool creates duplicated vertices and it does not always create new edge. Szymon Warunek (szymi) created T52693: Knife tool creates duplicated vertices. Szymon Warunek (szymi) added a comment to T51525: overlapping vertices when cutting middle of the poligonal face. it happens when i cut middle of the face of the polygonal object. vertices do not snap to each other,they do not weld automatically sometimes,it creates double overlapped vertices.Knife tool fails to create proper vertices that would not be overlapped,sometimes when the knife tool is being used,overlapped vertexes come up. Szymon Warunek (szymi) reopened T51525: overlapping vertices when cutting middle of the poligonal face as "Open". Szymon Warunek (szymi) created T51525: overlapping vertices when cutting middle of the poligonal face. Szymon Warunek (szymi) updated the task description for T49907: Blender crashes when changing reflectivity of the mirror material. 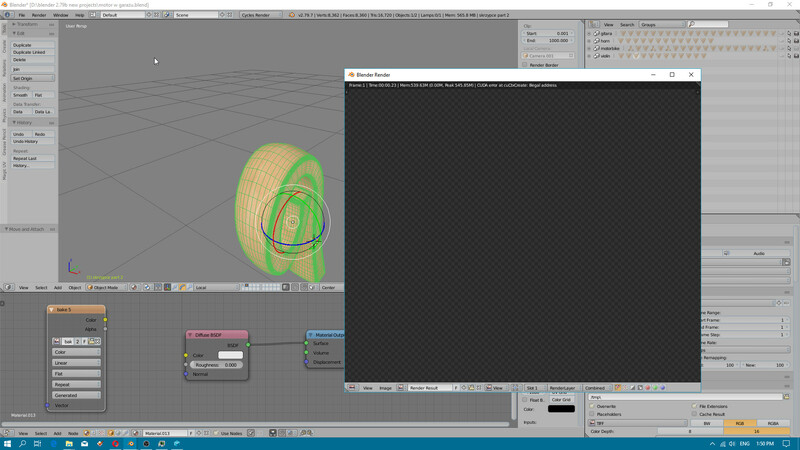 Szymon Warunek (szymi) renamed T49907: Blender crashes when changing reflectivity of the mirror material from Blender crashes when changing reflectivity of the material preview to Blender crashes when changing reflectivity of the mirror material.